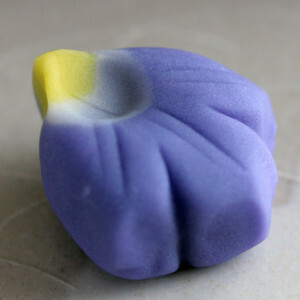 I’d like to introduce to you about early summer wagashi of refreshing hue with an iris as a motif. 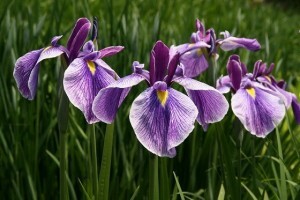 An iris is a flower of the early summer and represents the Tango no Sekku (the Children’s Festival). 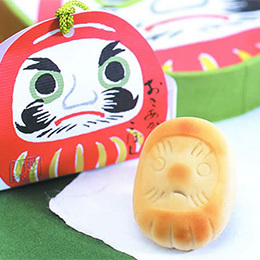 As it is used to drive away evil spirits during the Childrens’ Festival, ’the festival is also called ‘Iris Festival’. Since the form of iris leaf resembles a sword and has a refreshing fragrance expelling evil spirits, it has been considered to be a lucky plant for boys (children). Take a look at this beautifully designed wrapping paper . It looks like an iris flower. 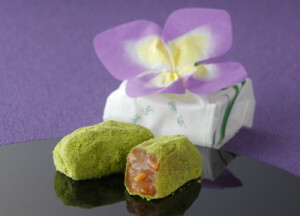 It wrapps a gummy confection called Gyuhi (Japanese-style Turkish delight). 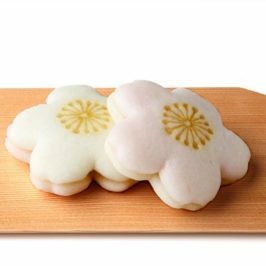 Gyuhi is one of the ingredients of wagashi, unbaked Japanese confectionery and it is a kind of rice cake made by kneading. 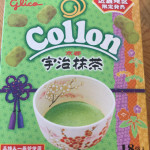 It is mixed with crunchy chopped walnut. 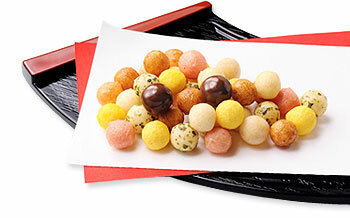 Then Mitarashi flavor is added as a finishing touch. 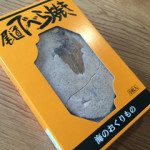 Mitarashi is a kuzu-an (a paste made from kuzu vine) flavored with sugar and soy-sauce. 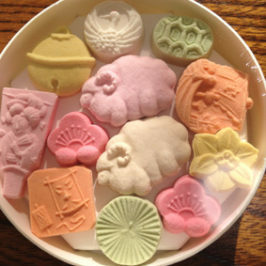 It is a type of wagashi, and most of Japanese-style sweets called fresh (and moist) sweets are nerigashi, with sweet white bean jam mixed and kneaded with Gyuhi (Turkish paste) and a cinnamon vine. It’s moderately soft and sticky. 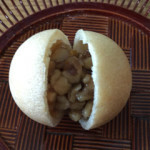 Gyūhi is a softer kind of mochi andis made from both glutinous rice and mochiko (餅粉), which is glutinous rice flour. 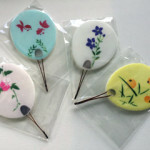 They put it into wooden molds engraved with a variety of designs, and adjust the shape by a hand or a spatula. 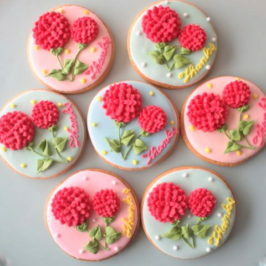 Finally they color it with edible food paints such as red food dye or the gardenia. 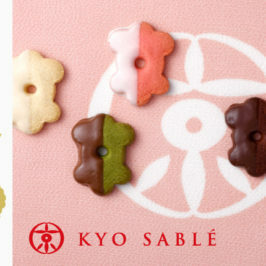 This confection designs iris flower beautifully and elaborately, and reflects the nature in Japan’s four seasons. 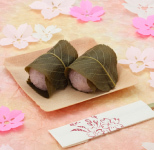 Yam cloth wrapps adzuki sweet bean strained bean jam, and puts on a flower and a leaf of a yokan. Hi everyone! My name is “Yushi”. I am a baby boy. 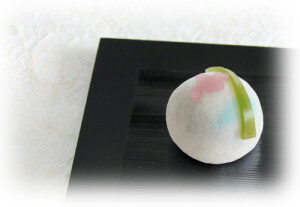 I am introducing some popular wagashi, local confection,etc. My mom writes articles, illustrations and takes some pictures instead of me. 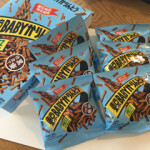 I will be happy if my articles can help people who love Japanese snacks, and people who want to know Japanese confectionery.